Mylow is the winner of the fourteenth edition of the producers contest Vinylized with the track ‘Untroubled’. The five finalists of the contest were LAu, Smeek, Mylow, Cool Tiger and Meraki. 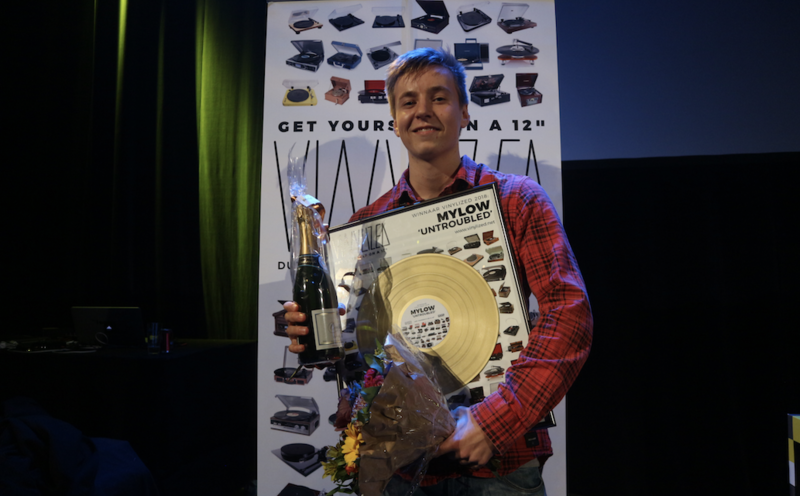 After recent updates about the new number one in the DJ Mag Top 100 and the winner of the Companies to Watch competition, we focus on another contest winner as Mylow came out on top as the winner of Vinylized 2018. Vinylized, organised in collaboration with the GRAP foundation, is the fourteenth edition of the annual contest which gives dance producers an opportunity to present themselves to the music industry, the press and the public. The competition has had winners and participants like Nicky Elisabeth, Arjuna Schiks, David Granaada, S.K.Y., Olaf Stuut, Knarsetand, Quentin van Honk, Daniel Zuur, Nymfo, Bakermat and Tim Wolff. GRAP’s objective is to stimulate Amsterdam pop music and culture, and to contribute to the development of Amsterdam's musical talent. The jury consists of twenty-three judges: Rolf Volkert (Anna Agency), Rogier van Twuijver (Modern Day Composers), Esther van der Poel (PACCT), Iason Chronis (Mason), Sjam Sjamsoedin, Pim Mulders, Olivier Weiter, Marco Muhring (Friendly Fire), Coen Tegelberg (Cloud 9), Axel van der Lugt (Sugar Factory), Edwin Mulder (Topbillin’), Chris Walraven (3voor12), Estroe (Estroe Advice/Rosedale Records), Adriaan Muts (Full Spectrum), Elvin Usidame (Paradiso), Tom van Wijk (ID&T), Ivo Adelaar (Revealed Recordings), Martijn Kouween (Revealed Recordings), Ruud Lekx (Rude66, Interface), Nicky Elisabeth (winner Vinylized 2017), Hubrecht Kirchner, Tunnelvisions and VNTM. Mylow wins a release on vinyl, a presentation during Amsterdam Dance Event, studio time with an engineer at Sonic City Studios, a photoshoot by Richard Tas Photography, a set of PRO17 ACS custom earplugs by ACS Custom, and a management consulting and coaching by GRAP. All finalists will receive prizes, including Dancefair weekend tickets and universal 19dB Pacato hearing protection from ACS Custom.